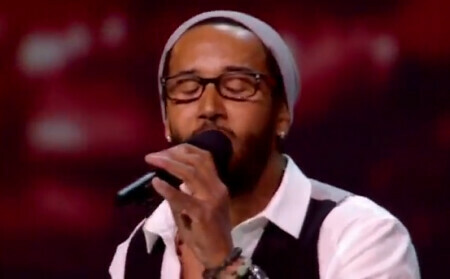 Last week on X Factor USA, a contestant (Leroy Bell) was caught lip syncing. Leroy Bell is the oldest remaining contestant at 59 years old. On the result show of X Factor USA last week, the 12 remaining contestants performed a group song. The song was “Without You” by David Guetta and Usher. While performing, Leroy failed to even move the mike to his mouth on time when his part started. FOX has admitted that the lip syncing took place and insisted that all the solo songs performed for the contest are 100% live. Besides this new controversy, there has also been another controversy involving Leroy Bell and Stacey Francis, as both had a professional career before. Leroy Bell has written many songs for top artists and Stacey Francis used to be in a professional all girl band. You can read more details of lip syncing incident here.